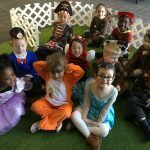 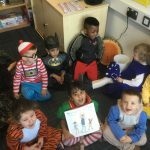 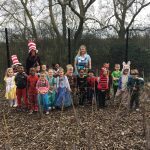 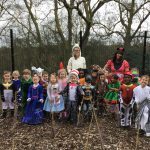 We all had a fantastic day on World Book Day! 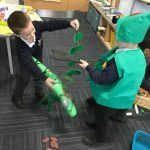 The children have been learning about Jack and the Beanstalk; we learnt the story map and wrote some fantastic sentences. 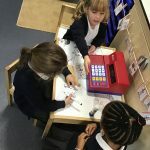 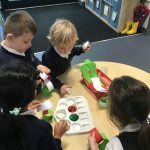 We have even used magic beans to help write number sentences! 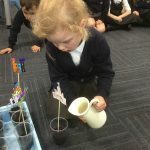 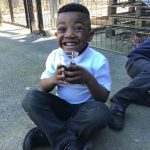 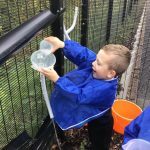 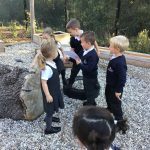 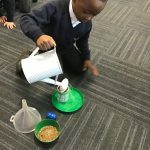 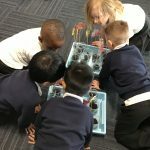 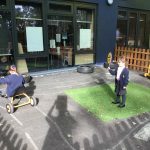 The children planted their own beans, which they have been observing every day. 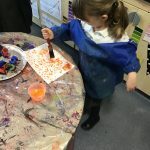 We have dedicated this week to all things art and design! 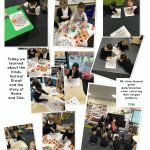 We learned about primary colours, tints and shades, we even created artwork inspired by Piet Mondrian. 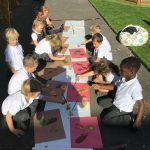 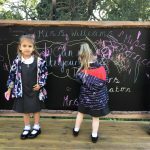 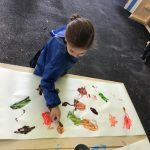 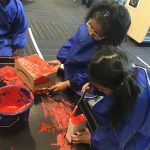 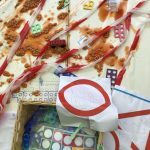 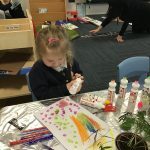 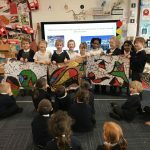 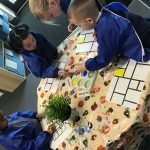 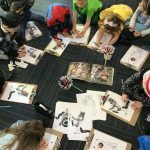 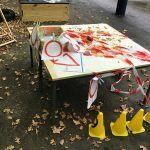 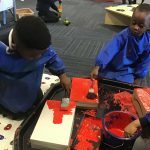 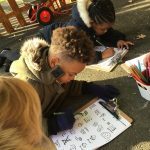 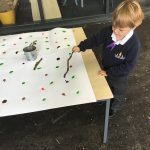 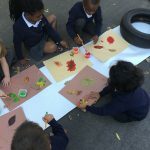 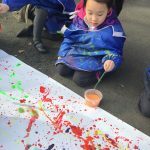 Together we worked in teams to create Joan Miró mosaics, we even took our art outside to create a class masterpiece inspired by Jackson Pollock. 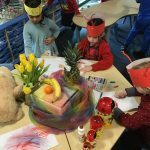 Finally, we used our skills learnt in art week to create still life drawings just like Paul Cezzane. 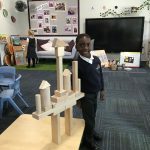 Thank you to all of our parents who were able to attend the workshops. 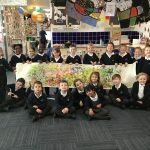 The presentation and points regarding Tapestry are below, if you have any questions, please do not hesitate to contact a member of the Early Years Team. 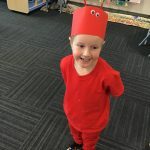 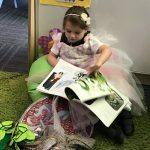 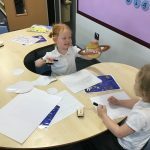 Today was alien day in Reception. 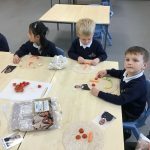 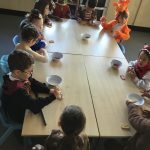 The children enjoyed decorating alien biscuits and making alien head dresses. 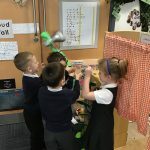 We even used our alien voices around the classroom. 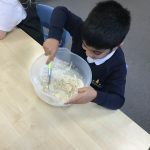 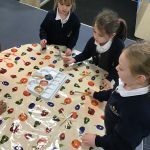 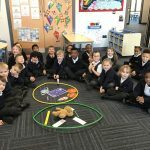 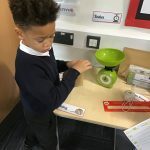 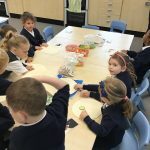 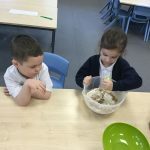 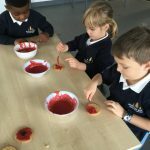 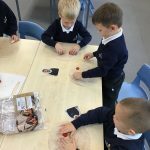 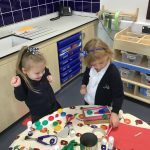 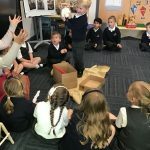 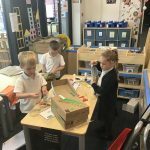 Our new topic is Space and the children have really enjoyed their first week exploring Space. 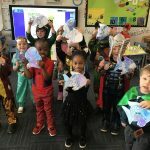 We have looked at stars and made our own using lots of glitter, sequins and tissue paper. 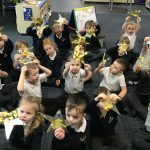 The children even wrote an adjective to describe their star. 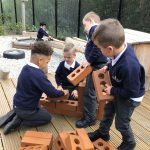 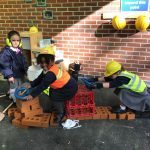 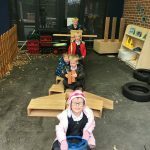 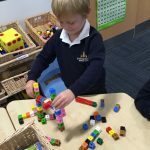 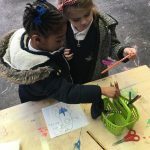 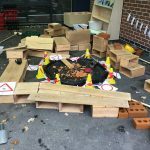 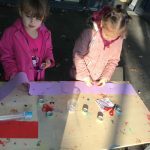 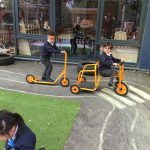 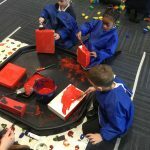 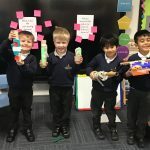 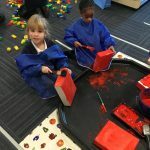 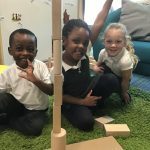 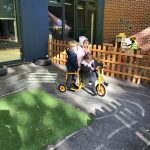 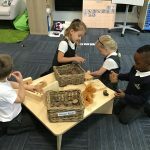 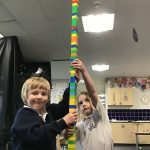 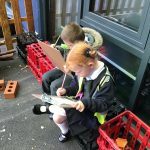 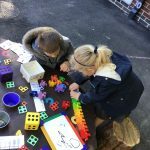 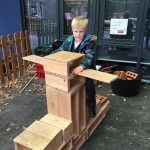 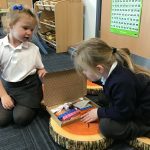 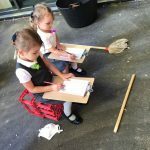 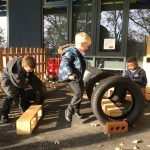 The children have been building and making rockets using the junk modelling, small blocks and even large blocks outside. 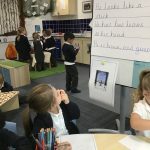 They have also been doing lots of topic related writing. 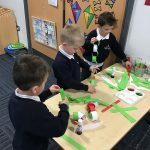 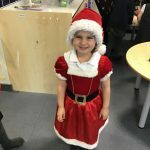 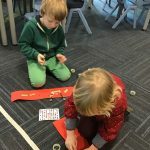 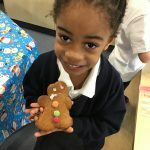 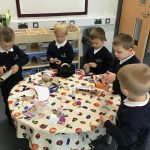 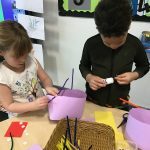 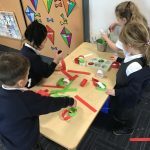 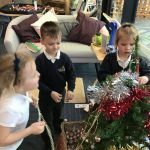 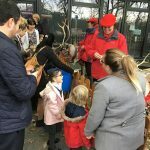 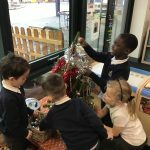 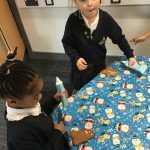 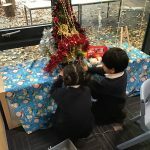 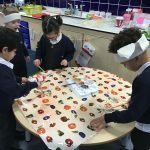 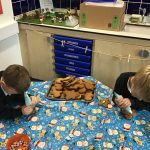 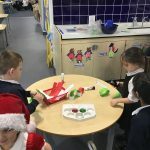 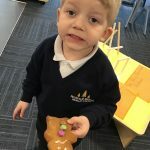 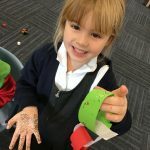 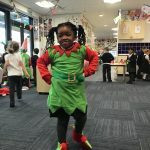 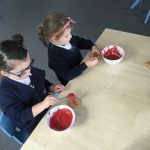 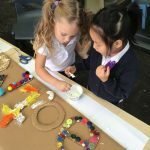 We are in full Christmas spirit in Reception – the children made and decorated gingerbread men, made and decorated snowflakes, the paper chains were also VERY popular in both RK and RH and we challenged each class to see who could make the longest…. 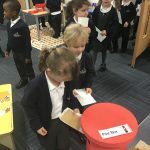 the results are waiting to be verified! 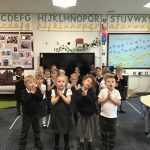 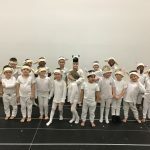 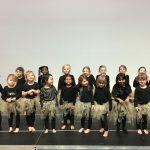 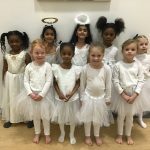 The children also thoroughly enjoyed performing in their first Christmas Nativity and did a fantastic job dancing and singing! 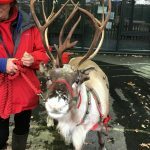 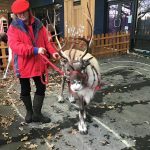 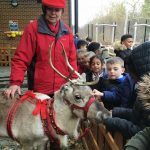 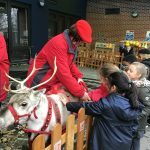 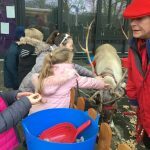 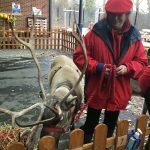 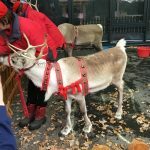 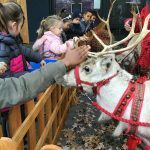 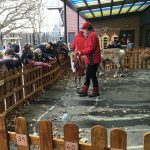 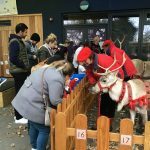 As a surprise we also had some very special visitors to school this week! 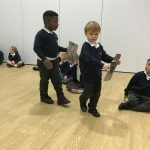 The children have loved learning the story of The Naughty Bus. 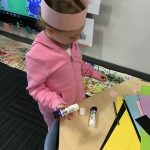 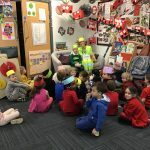 He visited our classroom and made a mess! 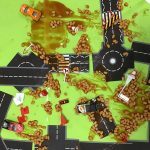 Leaving beans EVERYWHERE!!!! 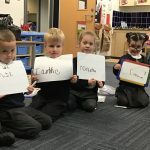 The children then wrote some lovely signs to stop Naughty Bus from doing it again. 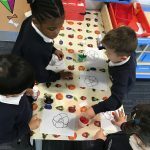 As part of Diwali the children decorated their own rangoli patterns and learnt about the story of Rama and Sita. 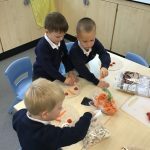 As part of Remembrance Day the children decorated biscuits and did some lovely collages of Poppies. 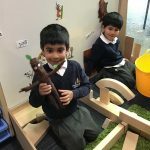 For the past two weeks, we have been learning all about Stick Man. 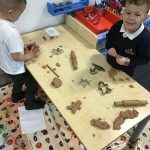 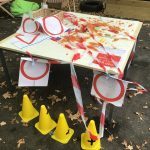 We had a whole week of activities planned about Stick Man, then disaster struck… we lost him! 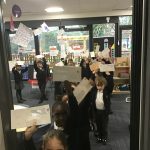 We made lost posters and maps to try and find him. 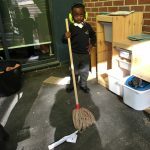 Unfortunately, this did not work so we had to call an emergency Reception meeting. 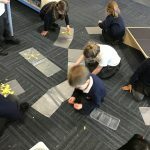 We split into groups and searched the whole school! 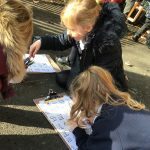 We used our observation and detective skills and found lots of photographs showing where Stick Man had been, but still no Stick Man. 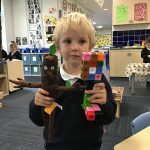 We had almost given up hope when in walked Mr McLeod and he had found Stick Man on his travels and had put him in his pocket. 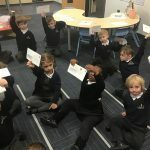 We were so grateful to Mr McLeod that we all wrote him thank you letters. 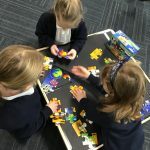 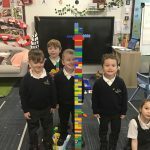 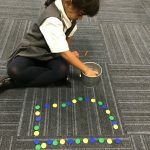 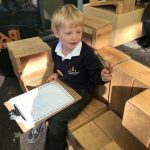 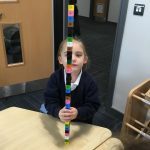 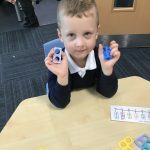 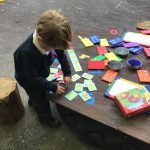 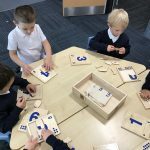 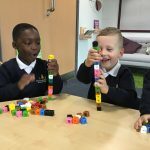 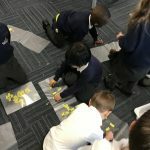 In maths, we have been learning how to build a Numicon ladder and how to form our numbers correctly. 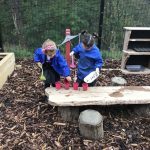 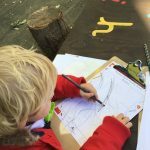 We have also been using lots of natural resources including conkers and sticks for counting activities. 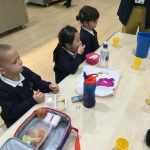 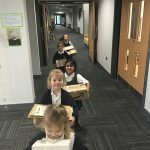 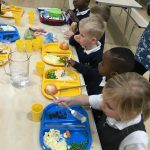 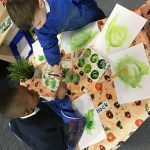 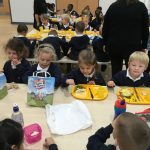 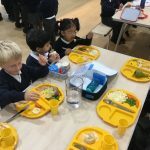 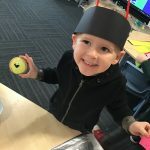 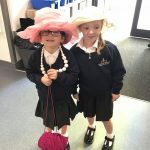 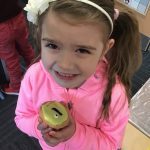 Reception had lunch at school this week, they were fantastic and enjoyed their delicious dinners. 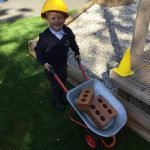 We are very excited for the children to be in full time next week. 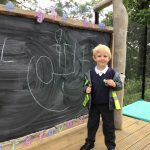 Winston has also gone home for the weekend with a child from each class. 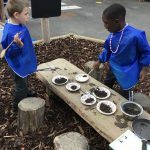 Our Mud Kitchen Is Officially Open! 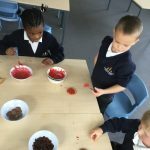 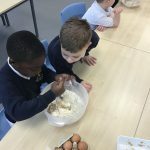 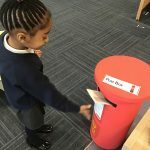 Reception have had a fantastic second week. 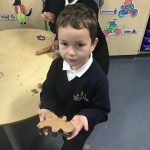 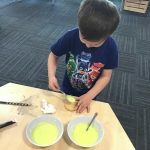 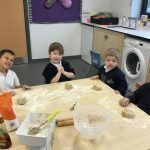 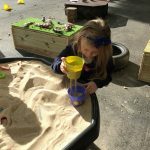 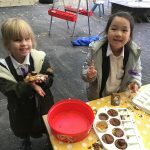 The mud kitchen officially opened and the children have enjoyed making marvellous mud creations. 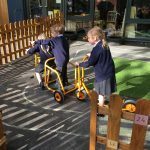 The children also joined the rest of the school for playtime and thoroughly enjoyed playing with them. 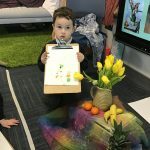 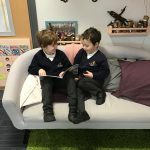 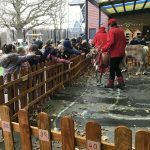 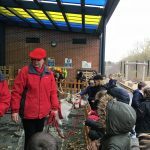 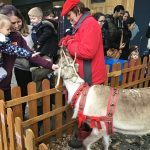 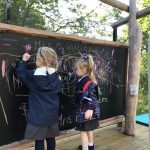 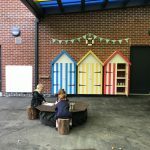 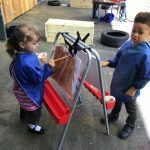 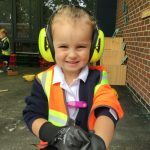 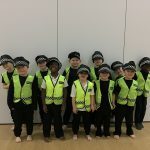 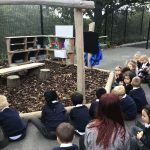 We have had a fantastic start to Pineham Barns! 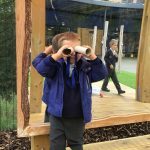 We have been very busy exploring our new classroom, outdoor provision, big playground and school! 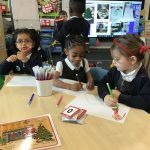 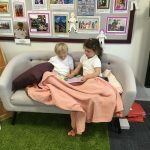 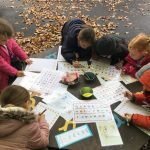 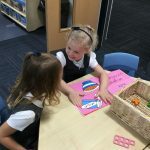 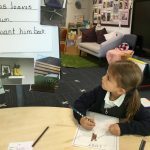 We have been having lots of fun in our handwriting and Phonics lessons. 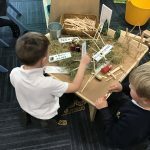 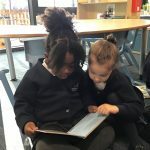 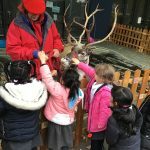 We have also been making new friends and exploring and learning together!